What Could EPOS Bring To Your Retail Business? A retail POS system will never miss a detail. By barcoding your stock, every sale and every return will be accurately recorded so you can keep a handle on your growth. This means you can quickly identify the best and worst selling products and adjust your strategy accordingly. EPOS systems provide you with immediate access to key sales figures across all your platforms. For retail businesses with multiple stores and a website or for those that sell at exhibitions or events this level of coordinated insight is invaluable. Barcoding will completely change the way you track your stock; as you make a sale or accept a return, the system will automatically update your inventory. Think of the hours of hassle this could save and the human errors avoided. Perform instant stock checks on the shop floor so you don’t need to disappear into a back room and reduce customer waiting time. Set minimum stock levels so you receive an alert when you’re running low on products. Some will even automatically create purchase orders for you saving you unnecessary time, admin and human error. With unique employee IDs you can accurately monitor who is clocking in and out of the system. This not only means hours and pay can be calculated automatically but you can also recognise and reward staff performance. Who is best at selling certain lines? Is extra training needed in some areas? Each employee can be assigned their own access level so you can restrict certain functions, like refunds, or hide sensitive information such as profits. In the event of any discrepancies you can easily identify the salesperson and transaction responsible. Introducing loyalty schemes and discounts is a great way to establish your brand and encourage repeat business. Create completely customised reports that analyse the performance of both sales and employees. By identifying areas of weakness you can redirect your strategy accordingly and get back on the track to growth. If your retail POS system enables you to capture customer information you can build your database which will not only enable you to carry out more targeted marketing but also to track individual shopping habits. If they buy the same makeup every few months, perhaps they would appreciate an email letting them know about an upcoming special offer? Maybe they bought a blue dress last week and now you have the matching bag in stock? 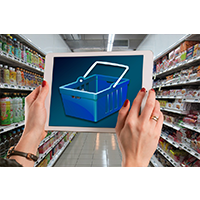 EPOS can help you create the ultimate personalised shopping experience. What do they do? Epos Now provide complete, Cloud based EPOS solutions for both small and large businesses. They are the UK’s largest EPOS provider and working with both the retail and hospitality industries. Epos Now place particular emphasis on the simplicity of their system (which apparently takes just 15 minutes to learn how to use) and can work with any size business whether they need 1 or 1000 points of sale. From inventory management to data analytics, sales processing and employee management, our cloud-based point of sale software will help you manage your single or multiple location retail brick-and-mortar store. Lightspeed Retail is more than a retail EPOS system — it’s a store management system that’ll help you run every aspect of your retail business. What do they do? Lightspeed provide complete, Cloud based EPOS solutions for both retail and restaurant businesses. Lightspeed is designed for independent businesses and as such create bespoke packages for their customers. What Kind of Epos System do you need? What Sort of Business do you run? 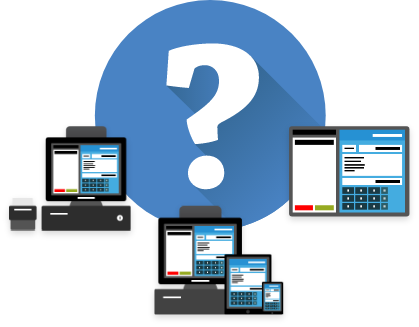 How many Epos Terminals do you need?